When I first held my baby lying on the hospital bed, I knew I had entered a new phase of my life. 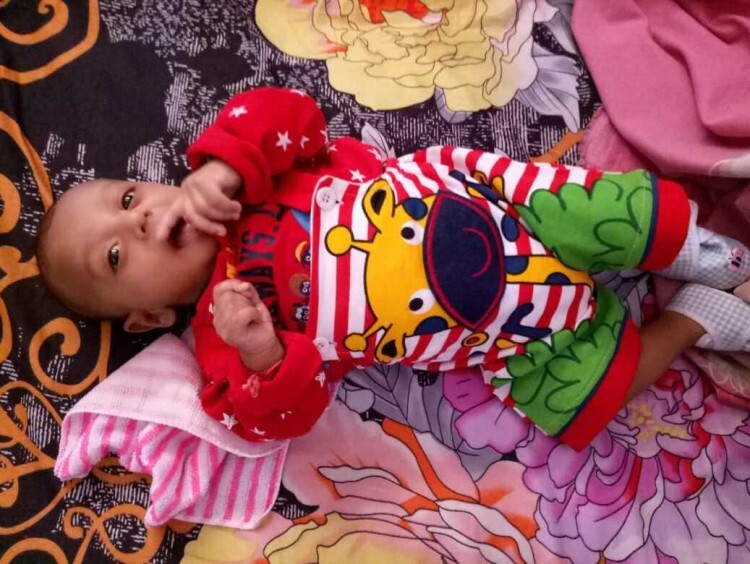 My 3-month-old baby, Taksh gave me the joy of motherhood for the very first time. But I never knew that my happiness came with suffering for my baby. After two years of my marriage with Pankaj, the arrival of Taksh completed our family. We live in Delhi. I worked in a small institution as an education counsellor before my pregnancy. Pankaj has recently started his own business and a lot of investment has gone for into the business. My baby was born fine and I was discharged a day after his birth. In March, before taking Taksh for his usual vaccination, we observed a little yellowness of his eyes. We went to the doctors and asked for tests for jaundice. The tests reports didn’t show any visible problem. But the yellowness of the eyes kept increasing, also his stool was becoming white. We knew something was wrong with our baby. Pankaj and I couldn’t afford to take a risk with his life. We insisted on an ultrasound and our worst fears were confirmed. Taksh’s liver was swollen. We immediately moved to a better hospital where better treatment was available. We were asked to do the tests again and the results were shocking. Our little baby had biliary atresia, a liver condition where bile ducts are narrowed or missing. In his case, there were no bile ducts and his liver is 85% damaged. He was just born a few days back. I couldn’t understand how the liver of such a young baby be damaged. I failed to get any answers. Soon, our little baby was put through much pain in the name of treatment. Countless needles pierced his little body every day. At an age where my baby is just supposed to drink nothing but milk, he has to gulp 7-8 syrups every day. My heart bursts to see him cry so much. Sometimes after feeding him, he vomits and is unable to eat for a long time. Recently he was operated upon. The doctors took a part of his intestine to create a temporary bile duct in his body. But the doctors are saying that only a liver transplant is the answer because so much of his liver is completely damaged. It’s painful for us to look at him. 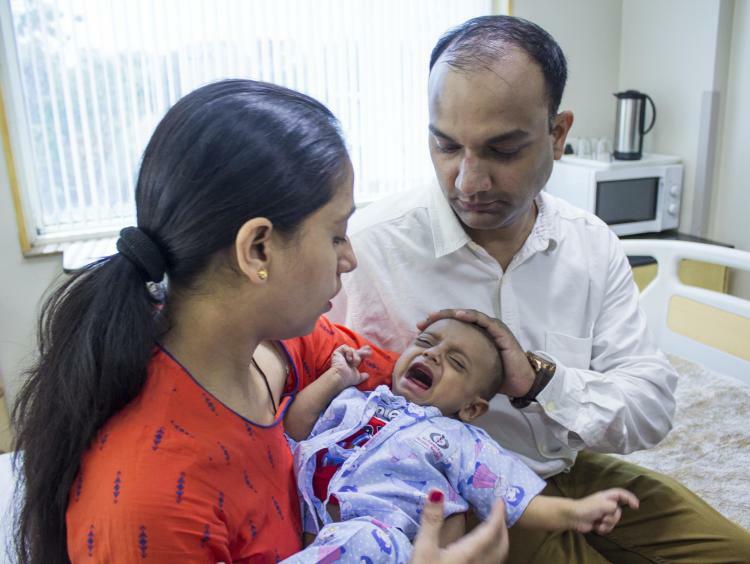 Who is to blame for a newborn's health but us - his ignorant parents? The surgery has already caused him a lot of pain. He also suffers from bouts of sleeplessness. His pain keeps us awake at night - where we helplessly watch him cope. When I was pregnant with Taksh, Prakash and I used to plan - which shop should we go to buy clothes and toys for our baby. I used to tell my husband and my parents-in-law that how amazing it feels when the baby is moving within. But now, all we have to do is plan to arrange funds to save our baby. I had planned to go back to work once he could take bottled milk to save for his future. But now, my little baby suffers so much that I am scared to keep him away from my sight. 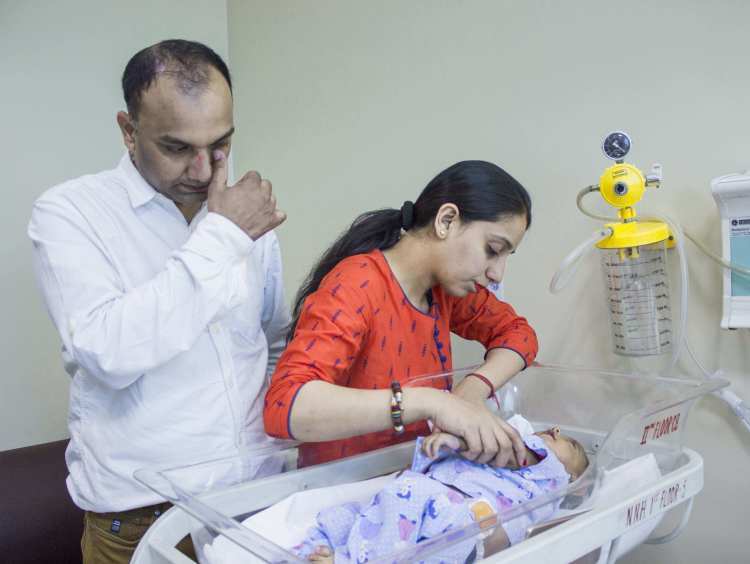 Prakash and I became parents very recently. We were not prepared for so much pain for our baby. We are scared every second. We didn’t even get time to enjoy parenthood and we have already been forced to grieve. We can’t let our baby die. I am scared of surgeries. I fear getting one to give my baby a part of my own liver - but I am even more scared it will be of no use. It is our very last hope. I pray it is not snatched away from us. It is painful to repeat Taksh's condition to well-wishers. We are tired and scared. In the past 2 months, we have already spent Rs 3.5 lakhs. All our savings are gone. We don’t have many relatives who can help us. We are just running from one hope to another trying to arrange a surgery. The injections and medicines have kept death at bay till now. He is getting worse every second. We are desperate to save him. 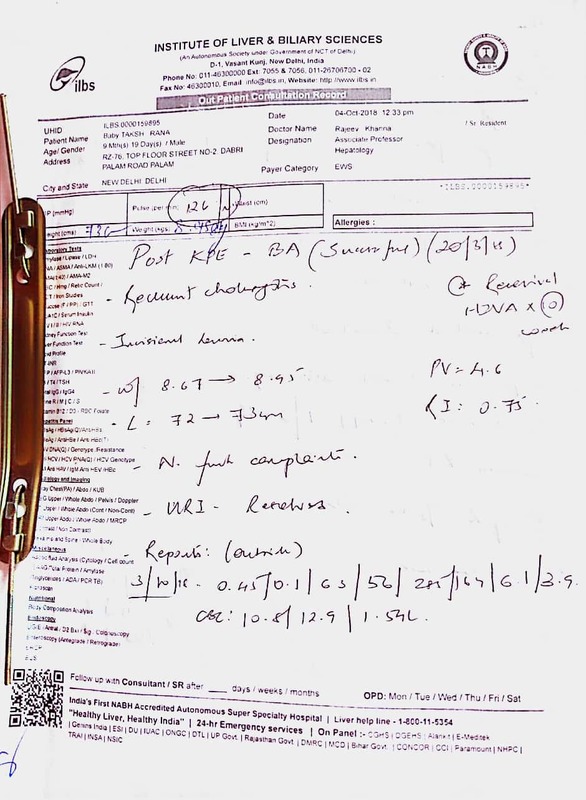 But the cost required for the liver transplant is Rs 19 lakh. It is such a big amount and I have no way to arrange for it. Your support can save Taksh. Once again a big thank you to all the donors who have shown their support towards Taksh. As mentioned in the previous update, we have collated the details of all the donors who have shared either option 1 or 2 as their preference. For all the other donors falling under option 3, we will be processing the refunds by end of today and the same is expected to hit your account as per the following timelines depending on the currency. For all users who have made the payment using a credit card, please check the card statement for the credit entry. Users who have made payments via UPI, PayTM, and direct Bank Transfers and have not claimed the payment need to visit the link: https://milaap.org/payments and claim the payment. Once you have claimed the payment, please write into feedback@milaap.org so that the refunds can be processed to their accounts. This is Anoj, co-founder of Milaap. Firstly, I'd like to thank you for the wonderful support that you have shown towards Taksh. It means a lot to all of us. However, we have some news to share with you today. 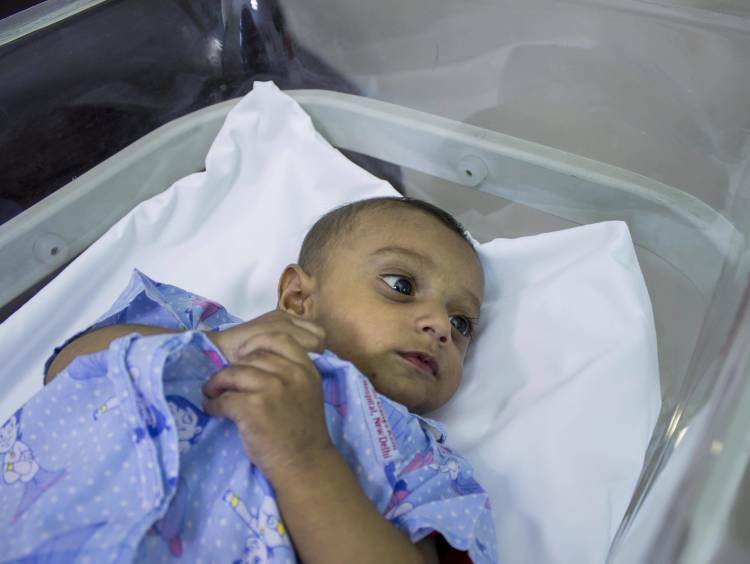 Following up on the previous update, Milaap has reached out to Taksh’s family and are given to understand that baby Taksh is doing well on the maintenance treatment as on date. 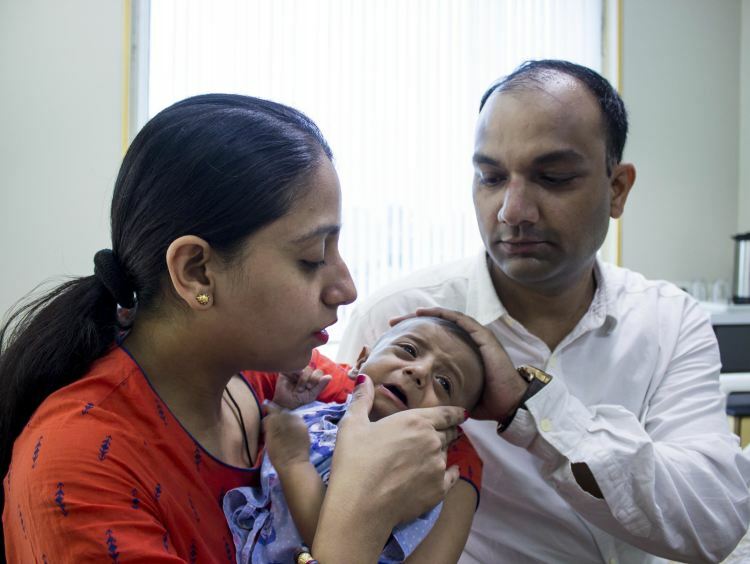 The family is currently not consulting the doctors at Gangaram Hospital but are under follow up with another hospital ILBS Delhi. As per our communication with the parents and basis the consultation documents from ILBS Hospital shared by family, we are given to understand that Taksh will not be needing a Liver Transplantation for now. While he may need a transplant at a future date the same cannot be ascertained currently. 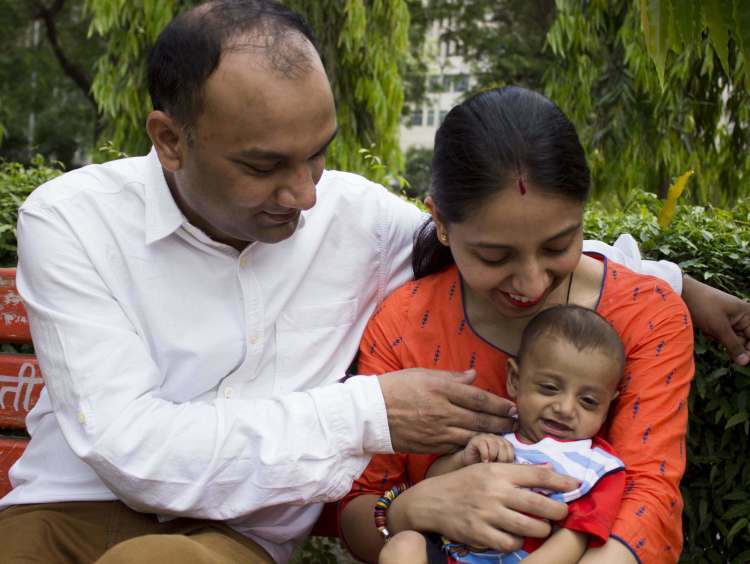 While this is good news that the child is able to get better with treatment without having to undergo a transplant, it also means that we need to decide on the funds raised so far. As Milaap is a custodian of funds, we release funds raised only against utilization for the intended purpose, supported by treatment update from Doctor as well as bills and invoices given to us. 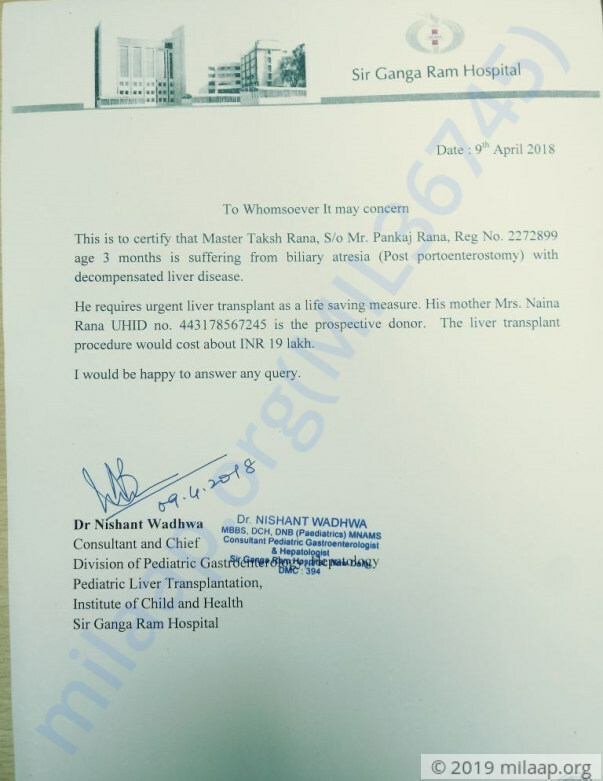 Since the intended purpose, ie Taksh’s Liver transplant is not met and we cannot definitively confirm when it would take place, per our Refund Policy under Terms & Conditions (https://milaap.org/about-us/terms-and-conditions), donors have the discretion on how their funds should be used. You explicitly state to transfer your donation to Taksh Rana’s family towards their maintenance treatement. In case, we don’t hear from you on the above options by Tuesday 23rd October 2018, we will be automatically refunding your contributions from then on. The time gap is only to set up the refund process with various payment modes and provide donors the time to make the decision. Please reply to this email before the 23rd of October 2018 stating your preference for 1, 2 or 3. After which the funds will automatically be refunded back to all the donors. In case of a bank transfer made to the account number mentioned in the page, we would request you to share the account details with us by replying to the email or reaching out to team Milaap on feedback@milaap.org . Thank you all once again for the support and my apologies for the inconvenience with this process. Our prayers and best wishes are with Taksh and his family. 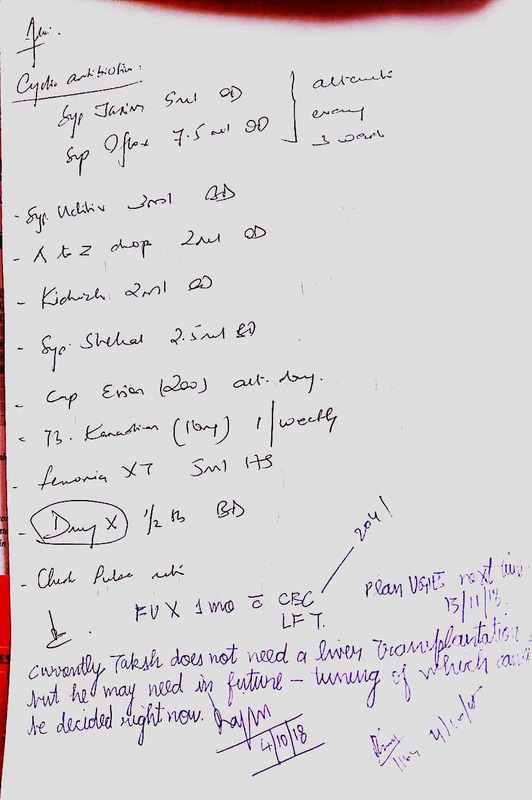 Attached is the Doctor’s consultation letter from ILBS shared by Mrs. Naina Rana, Taksh’s mother. Thank you for the wonderful support that you have shown towards Taksh. Here is a quick update on Taksh's health. He is doing better now compared to earlier and is responding well to the medication. The doctors suggest that he will be on medication and they will be following up closely on his health. They have also suggested a diet plan so that he gains weight faster. Based on the reports they will be suggesting the future course of action and the treatment. Thank you for the wonderful support. Please do pray for his health and speedy recovery.